Food doesn't have to be complicated or expensive. 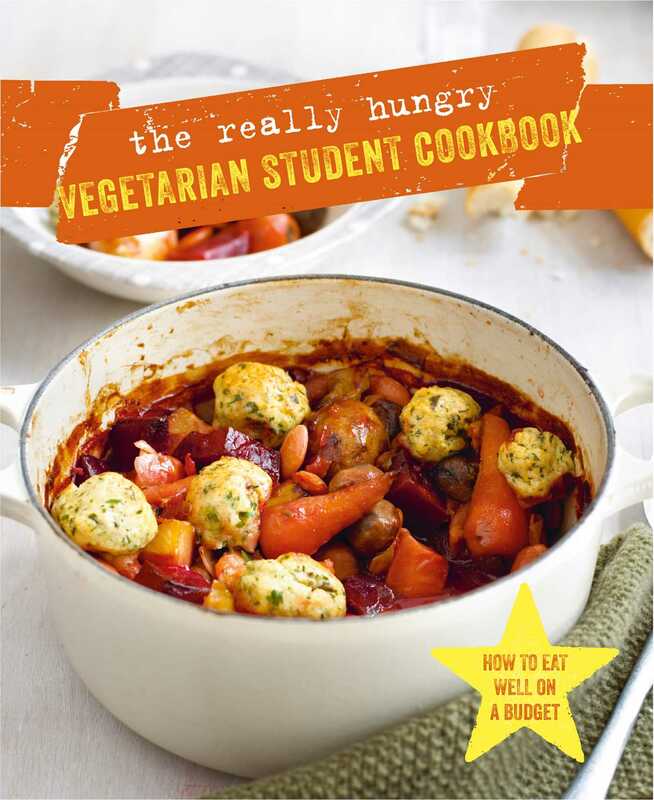 The Really Hungry Vegetarian Student Cookbook will come to the rescue with mouth-watering, meat-free recipes for any occasion. The book is packed with nutritious vegan and vegetarian recipes, whether you need sustenance for late-night study sessions, are hosting the afterparty at your place, or want to bake your new vegan bestfriend a birthday cake. With Boosting Breakfasts that will set you up to face the day, Lunchbox Heros to keep you going through those long lectures, and wholesome and delicious comfort food in Veggie Mighty, The Really Hungry Vegetarian Student Cookbook has meals for every necessity. Complete with "how-tos" for healthy snacks like kale chips and pepper popcorn, and baked goods to satisfy your sweet-tooth, you'll never be at a loss for what to eat again!